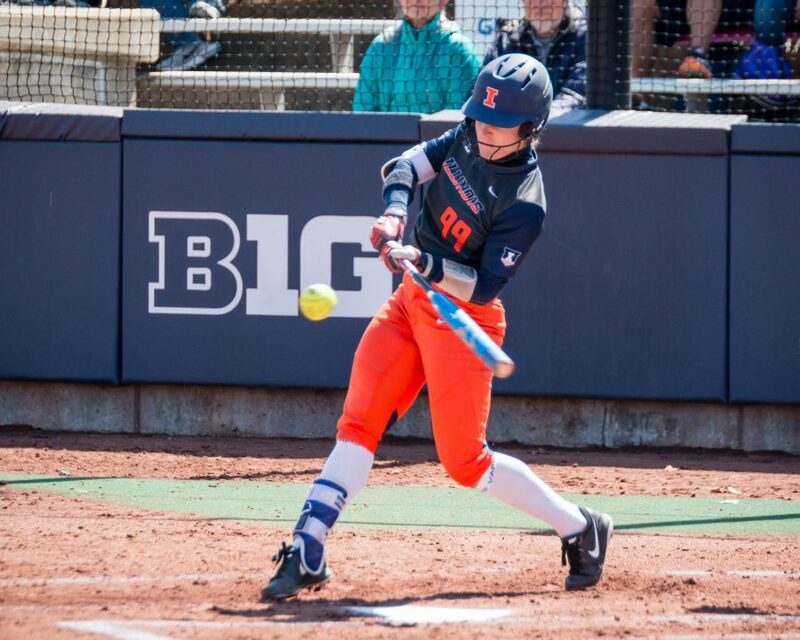 Illinois’ Annie Fleming takes a swing against Minnesota on Saturday. 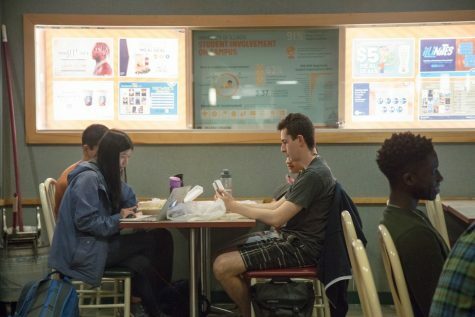 The Illini left the series with one win. 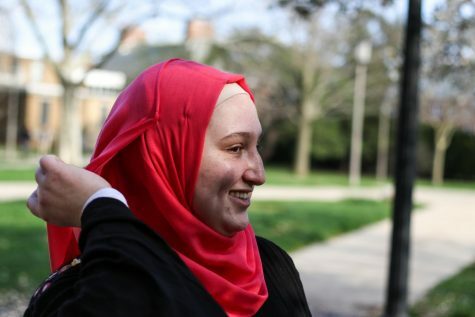 The Illinois softball team won one game over No. 6 Minnesota this weekend but lost the overall series. 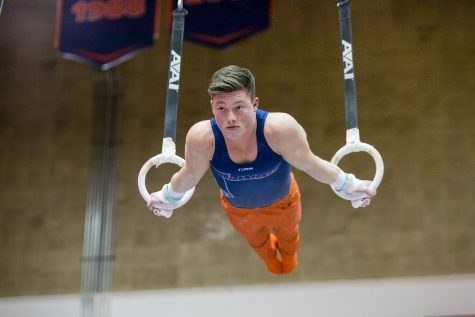 The win on Saturday gave the Illini their first victory over a ranked opponent for the year and ended their 15-game losing streak to the Golden Gophers. 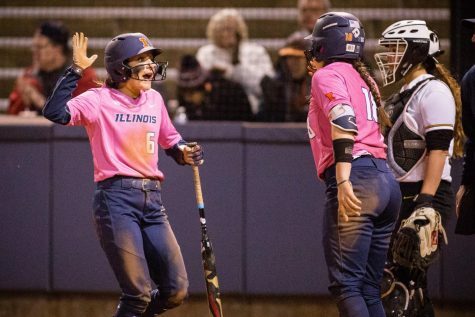 Illinois had a nine-game win streak coming into the series, but had it snapped in the first game Friday. 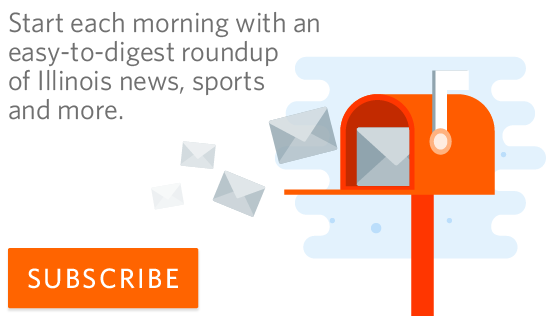 They were shut out 12-0. Minnesota got off to a fast start, scoring two runs in the first inning after drawing a walk and a hit-by-pitch with the bases loaded both times. 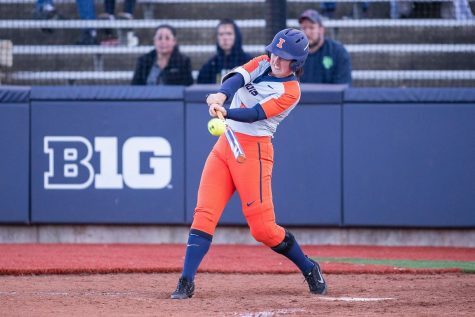 Minnesota pitcher Sara Groenewegen gave the Illini trouble throughout the game. Illinois only had one hit and struck out seven times at the plate. The mercy rule was enforced after five innings due to Minnesota scoring 10 runs in the fifth inning. Six of these runs came from freshman Kendyl Lindaman, who hit two home runs in the fifth, one of which was a grand slam. 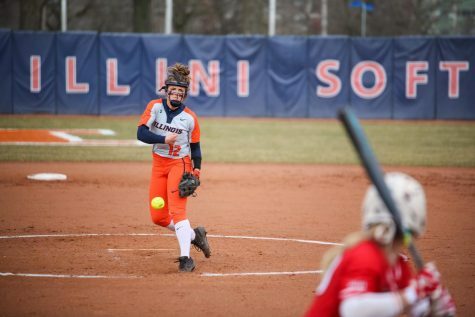 Illini senior pitcher Breanna Wonderly struggled on the mound, giving up 12 runs — four of which were earned — 10 hits, six walks and four strikeouts. 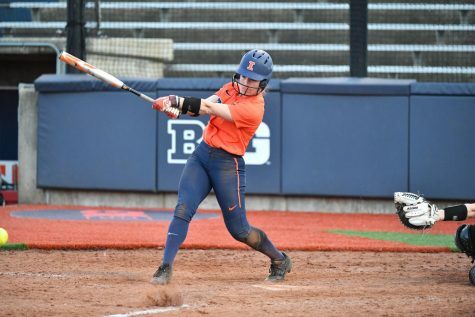 In the second game of the series, junior Annie Fleming gave the Illini a 4-3 victory with a walk-off double in the bottom of the seventh inning. 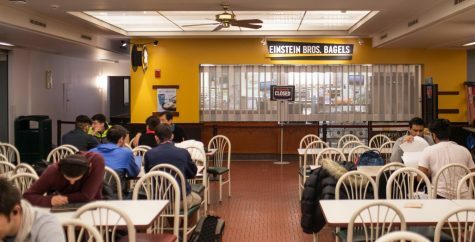 However, it was not looking promising for Illinois early on. Minnesota once again got off to hot start, with Lindaman hitting a two-run homer in the first inning. The Gophers tacked on another run in the fifth inning off an RBI-single, making it a 3-0 ballgame. 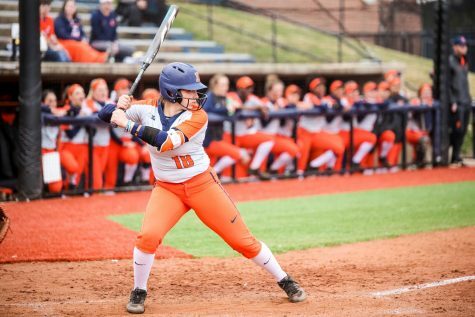 The Illini responded in the fifth inning, scoring three runs. Senior Ruby Rivera scored off an RBI-single from sophomore Kiana Sherlund. 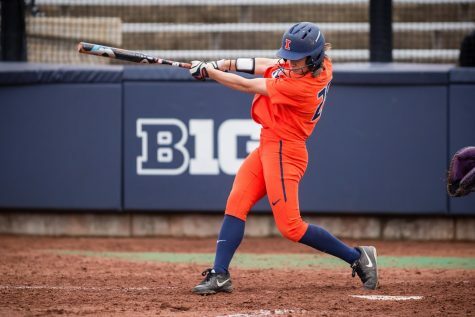 Illinois scored its next two runs off errors from Minnesota second baseman MaKenna Partain and Lindaman at the plate. 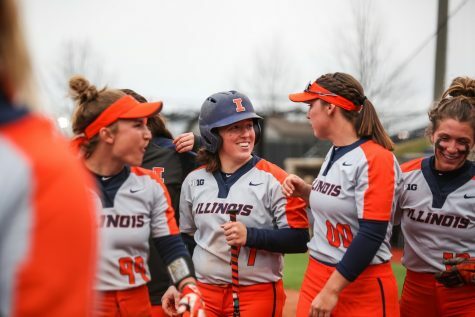 The game was tied at three going into the sixth inning, and Wonderly came up big for Illinois down the stretch, only allowing one base runner in the sixth and seventh innings. In the bottom of the seventh, Sherlund reached first from a Minnesota error and then advanced to second on a wild pitch. Two batters later, Fleming hit the walk-off double to left field. In Sunday’s series finale, the Golden Gophers shut out the Illini, 4-0. Minnesota scored its first run off an RBI-single in the first inning. The Golden Gophers picked up another run in the third thanks to an RBI-double to left-center field. Illinois left runners on first and second with two outs in the third inning when Fleming popped out in foul territory. 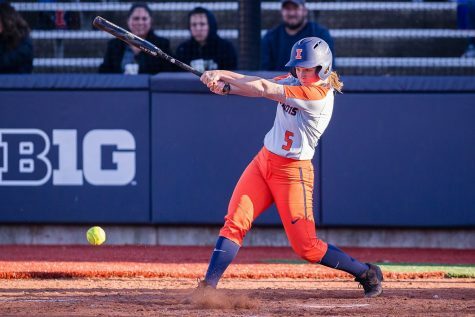 The Illini had another chance to potentially tie the game in the sixth when they loaded the bases with only one out, but two-straight groundouts kept them off the board. The Golden Gophers capitalized on the Illini’s misfortunes the following inning. Junior Dani Wagner hit a two-run homer to give Minnesota the 4-0 lead, which Illinois did not recover from. 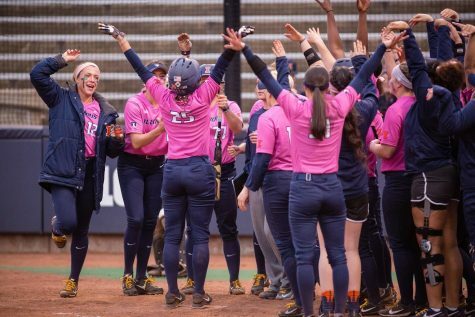 After this weekend series, Illinois’ record is now 24-10 overall and 4-2 in conference play. 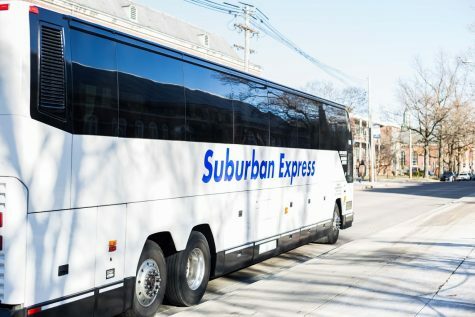 The team will be on the road next, traveling to Evanston to take on Northwestern in a doubleheader Wednesday.